Hi Belinda, Thanks for doing this interview. It’s a real treat to have you share with us. For starters, can you tell us a little about yourself and/or your family. Let me introduce my family. I am Belinda married to Peter. We have four children: Joshua, Jessica, Naomi, Daniel. I am a stay at home mum, Peter is a vet and flies around the Kimberley and Northern Territory servicing the large cattle stations. We live in the north of Western Australia on a small farm, which is just 13k out of Kununurra. So we have the best of both worlds – we live with the space of a farm, close to the convenience of town. We have homeschooled since the beginning of our children’s formal education years. Josh and Jess have graduated and are now pursuing things that interest them, and I continue to homeschool Naomi and Daniel. Does your family have an interest, hobby or passion? Two things that are important to our family, is the Church (the collective group of people who follow Christ) and being creative/productive. Our heart is to build up and encourage Christians in the Word and ways of God, and to build relationships regardless of where people worship on Sunday. It is a delight to see our older children pick up this passion (with their own twist) as well. And as far as being creative and productive goes – we believe that God has given all of us not only a unique plan for our lives, but the talents to service that plan. We are intentional about developing gifts/talents with this in mind. We have been homeschooling for 14 years. No I wasn’t though my dad went to America for a pastors study tour when I was about 14 and went to a homeschool conference where Greg Harris spoke. He really wanted to homeschool but it didn’t work out that way. Several years later my parents homeschooled my younger brother during some of his highschool years. My parents have been very supportive, and understanding of homeschool issues which has been great. When we started to homeschool our reasoning was that we wanted to be the biggest influence in our children’s lives. We would still say that today. We want to be the one that shapes their thinking, their passions, their emotions, their conscience, their character and their beliefs. Not in a brainwashing kind of way – but in a way that helps them choose to follow God. Joshua is 19yo. He is studying Ancient History/Politics at Open University Australia. He is passionate about Christians being involved in every area of life – and reflecting God’s truths as they live their lives. Jessica is 17yo. She finished homeschooling last year in effect, and has taken this year (2012) as a gap year – giving herself time to do things that are important to her, or maybe even to discover the things that are important to her. She has a few online courses that she is interested in pursuing in the short term. She enjoys the piano, word art, and helps me publish a magazine a few times a year. Jessica delights in organising and helping people. I am blessed to be the beneficiary of her talents as she works on getting various areas of my home in order! Naomi is 15yo. She is our life of the party – she makes us laugh (she makes herself laugh!!) This year (2012) she has been enjoying a community theatre group and has performed in a variety show and a theatre sports event. She calls herself a social butterfly and loves being with people. She is also very creative / arty. She enjoys a range of creative skills from painting to stitching and sewing – and there are many other art forms she’d like to explore. Daniel is 13yo. He is still learning and discovering his interests. At the moment he is interested in stop motion and cg animation. He was a very late reader and so to see him teaching himself from reading books and websites is a delight to my heart. Daniel is very hands on boy – he does the maintenance both in the house and yard and is looking forward to the day when he can work in the shed making stuff. Yes I do follow a routine – I see routine as a sequence of events that helps us manage our time. We change our routines often to suit our purposes. My kids say the only thing routine around here is how often we change our routines!! I divide my day up into several purpose driven blocks. We tend to rotate through those blocks most days though what we do in those times change with the seasons of life. Responsibilities: Three times a day – after breakfast, after lunch, before dinner. This is predominately about getting chores done but the morning routine also includes exercise, and personal devotions. Individual time: this is a time where we regroup ourselves, rest, and spend a little time by ourselves. When our kids were little this was nap/rest time, now it is generally spent as reading time. We all need some space in our day. Productive Free time: mostly our afternoons when we have time to pursue personal talents, gifts, interests and passions. Sport, friends, drama, paintings, animation, blogging, sewing, reading, playing games, listening to audio stories ….an endless list of opportunities. Family time: generally this is over dinner and into the evening – we go for much longer on Friday and Saturday nights (and often include friends at this time). I am not as disciplined as I would like in this area. I would like to say that I sit and read the Bible and pray – but often I get side tracked with the internet. I’m working on this habit. My early morning routine includes (all these things happen – I’m just working on the order/prioritising). A makeover in my office – I think this is a selfish desire and little to do with me homeschooling. As a homemaker, mother, parent, scrapbooker and homeschooler a neat, organised, decorated office would be wonderful. But… as a homeschooling parent – then I’d have to say a trip to a different place every year would be wonderful. We are about to embark on such a trip and I’m sure this is a once in a lifetime experience but to have the opportunity to see more of the world would be amazing. I like mornings. I like being up early and having time to myself. Then I like sitting down with the kids and knowing that today is a new start. I call my approach a discipleship approach – my intent is to shape my children to be followers of Christ. Being a follower of Christ means your thinking, your emotions, your passions, your character, your will, your beliefs will be in line with Jesus Christ; that the things we think, feel and do is directed by us being a Christian. Love the Lord your God with all your heart, mind and soul, love your neighbour as yourself. Early in our homeschooling journey I felt God tell me to teach from my heart. I still use resources but unless it is in my heart first it just becomes an academic subject, whereas it should be life. I like how when we talk about lessons from the Bible we go on all sorts of rabbit trails. I also like that when we study the Bible we are incorporating so many other subjects – language arts, critical thinking, history in particular though the Bible is interwoven in subjects like science and geography as well. 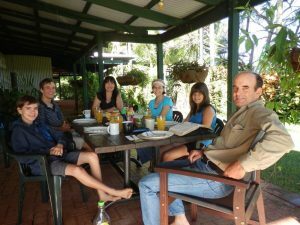 I also like that studying the Bible has been the time we study together as a whole family for the longest – the kids were quite old before they moved onto independent Bible study. We have homeschooled two students through highschool, have one in highschool and one about to enter highschool next year (2013). Moving on into highschool didn’t really bring any changes in our homeschool – we kept the discipleship idea strong. Our priority was to maintain relationships, work on responsibilities, grow in themselves, extend their talents and continue to learn to think. Joshua studied worldview / philosophy in depth for the last 18months of his homeschooling. This was his interest but we also saw that he was heading to university so this was very important to us that he had this framework. Jessica was more hands on, living life, doing what needed to happen. She is very skilled at organising, managing, planning and getting things done! She spent a lot of her time learning computer skills – internet based, publishing programmes, and productivity programmes such as Microsoft Office. All through highschool Jess worked with Mainly Music, an outreach programme to mums and young children once a week. She had a small business project (short term) and ran a few kids clubs at different times. Naomi, will be studying art and history of art in her upper highschool years. It is important for all my children to have a biblical world view and to be able to defend their faith – but for Joshua this has gone deeper. It is important for all my children to be able to manage their time and to get things done – but for Jess, she is an expert! It is important for all our children to be creative but for Nomi this goes further and broader. What has been the biggest challenge along your homeschool journey? My individual and unique children! Jessica – the challenges Jess brought are very different and have come much later in our journey and have been more about finding her identity, rejoicing in her talents, and being confident to walk her path. Naomi had a tumor removed from her kidney when she was 6months old, followed by 5 months of chemo. Though this all went well, a year or so later she developed scar tissue complications which has shaped her life with extreme pain for many years. Daniel has speech delay (Dyspraxia) and several learning difficulties and though we try not to have these define him, they certainly defines the learning process and lifestyle. Not only do each of my children have unique issues (and I’ve outlined only snippet of those) they all have character/heart flaws, personality issues, and learning styles all completely different from each other. There is no one size fits all, you can never just repeat what worked before. But this is what being a parent is all about!! Another challenge that has affected many choices we make is that Peter is away from home a lot. From Easter to Christmas (basically beginning April to end December) he is away about 75% of the time. Read or scrapbook. I’ve recently discovered digital scrapbooking and I enjoy that (no paper mess to clean up!!). I would love to get back into fabric crafts / sewing but that isn’t happening at the moment. I also love talking to my mum on the phone – we talk for hours at a time! What is the strangest or funniest thing someone has said to you about homeschooling? I don’t know if this falls into strange or not – but I was talking about the benefits of homeschooling to an older man once. I thought he was supportive so I was chatting away. But he wasn’t – at the end of me explaining something he said, “I don’t agree with what you are doing – I fought the war so your children could go to school.” I don’t know what came over me, as this man was an older man whom I really respected, but I answered “No, you fought so we could have the choice”. This answer completely changed his attitude to homeschooling! What is a favourite Bible story and why? The chapters in Act that talks about the early church. I find it inspiring – and wish that church life was like that today. I find it challenging – wishing that I had that passion for Christ today. What is your favourite verse in the Bible? Luke 10:27: Love the Lord your God with all your heart and with all your soul and with all your strength and with all your mind’; and, ‘Love your neighbor as yourself. 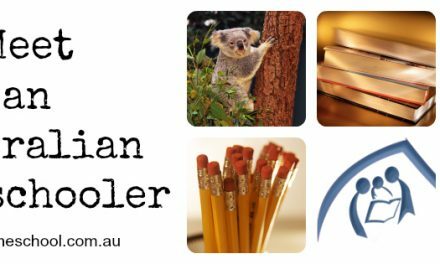 What is your favourite homeschooling book? If you could give one piece of advice to a new homeschooler, what would it be? Know what is the most important thing for your family – even if you weren’t homeschooling – and make sure that happens in your day, or in your week. Ask yourself “If we weren’t homeschooling – how would we spend our time?” These are the things that identify your family and as you continue to do them, or as you make sure that these things happen you will find many learning opportunities. 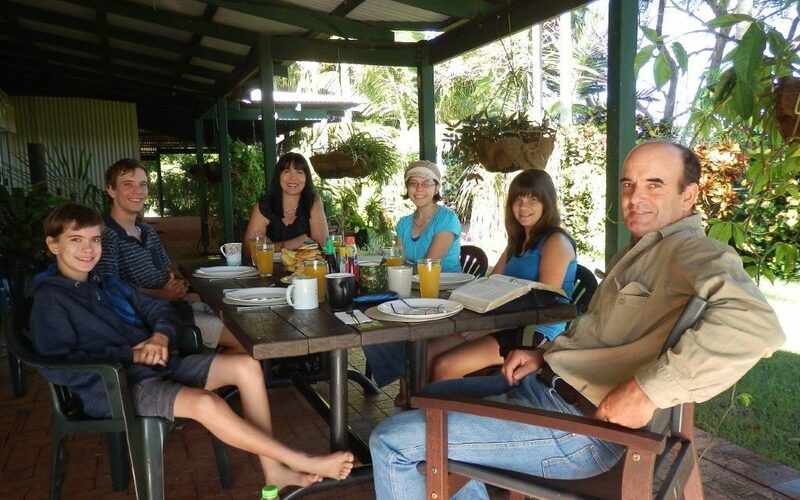 This is our family life – homeschooling is added to that, it doesn’t replace it. 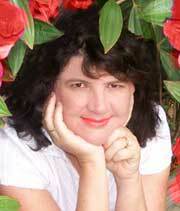 [note color=”#e2e2f9″]Wow, thank you Belinda, for such a detailed look at your family life and your homeschooling life. You are very inspirational! If members have any questions for Belinda, they can leave a comment below and she will respond as she is able. However, their family leaves in a few days for a 6 week trip to Turkey, Italy and Switzerland!